A lease is a contractual arrangement where the lessee (user) pays the lessor (owner) for use of an asset, IE… Property, buildings and vehicles are common assets that are leased. 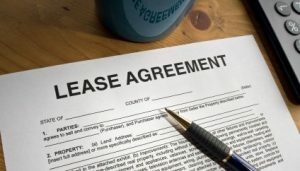 Broadly put, a lease agreement is a contract between two parties, the lessor and the lessee. The lessor is the legal owner of the asset; the lessee obtains the right to use the asset in return for regular rental payments. The lessee also agrees to abide by various conditions regarding their use of the property or equipment. For example, a person leasing a apartment may agree that the unit will only be used for personal use.